Every step of cake making is important, and the silicone bakeware you choose can either make the perfect treat or ruin a great cake. 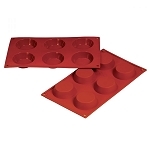 Make sure you always start with top quality silicone baking mold for all your baking needs. 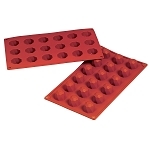 Our top quality bakeware ensures a golden brown and no burns. 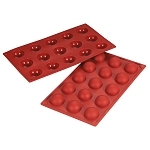 Our silicone bakeware provides a smooth, even finish that limits the risk of throwing away a burnt cake. Here at Sweet Life, we are proud of our goods. 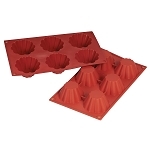 All bakeware offered at Sweet Life Cake Supply is made with high quality materials, guaranteed to give you the perfect bake every time and last for years. No cheap knockoffs and imitations - when it comes to your baked goods, look no further - we have you covered!